Below is a photo I took of a 3-D map of the Aso area. (You can click on the image to view a much larger version of this photograph.) Aso is the home of the Nagata Family, who supply Mellow Monk with green tea. The rightward-facing horseshoe shape on the map is the Aso caldera (volcanic crater). 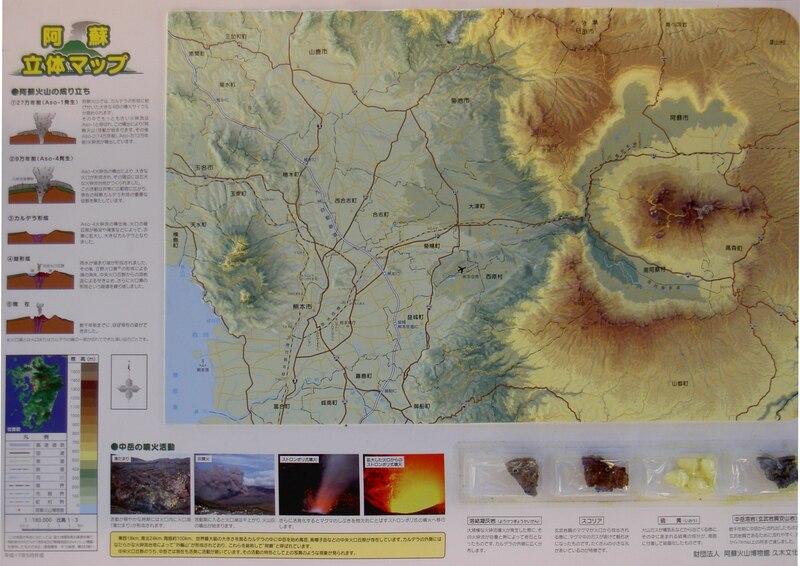 Aso City, where the Nagatas live, is in the top part of the crater, near the end of the horseshoe leg.